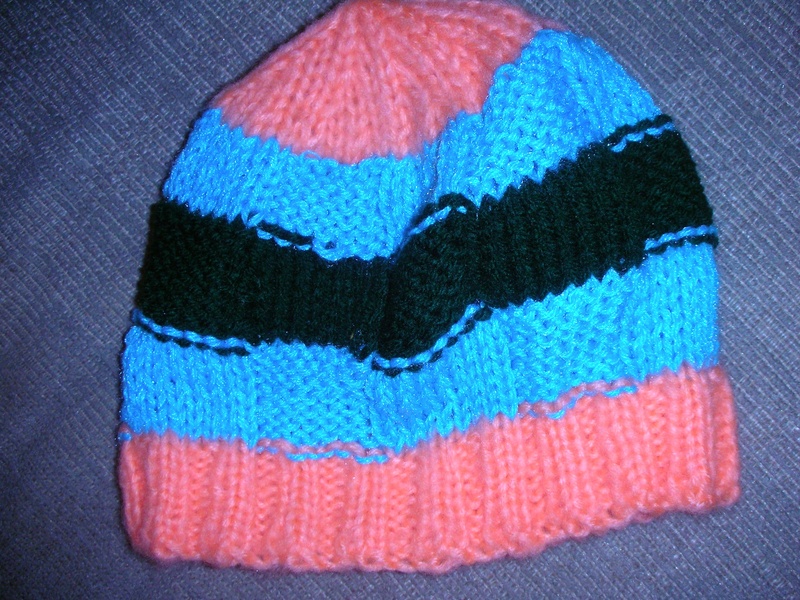 When you love to knit hats, it’s possible that your husband might refer to you as The Mad Hatter. And that’s just what happened when my friend Cathie B, after a marathon session of making hats for a number of organizations including Hats For A Purpose., was lovingly tagged with this nickname. Cathie’s hats are happy hats. Vibrant colors, interesting designs, hats kids will love to wear. Cathie makes her hats for the Northern Lake George Rotary Club who jumped on board last year when we first started making hats for children in need. My thanks to Cathie and all the others who are knitting, weaving and crocheting hats again this year. We are about halfway to our goal of 125 hats. If you or others would like to help, please get in touch with me. It’s easy, it’s fun and it’s for a noble purpose.